Shoe Tree. Route 66, Amboy. 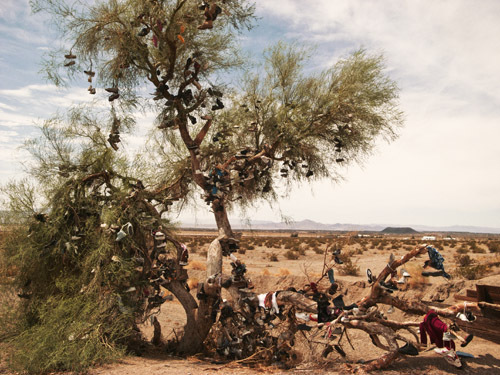 Came across this 'Shoe Tree' while driving from Las Vegas to Los Angeles. Found out on returning home that this is not the only one in the desert and that the most famous of them all was chopped down by vandals.